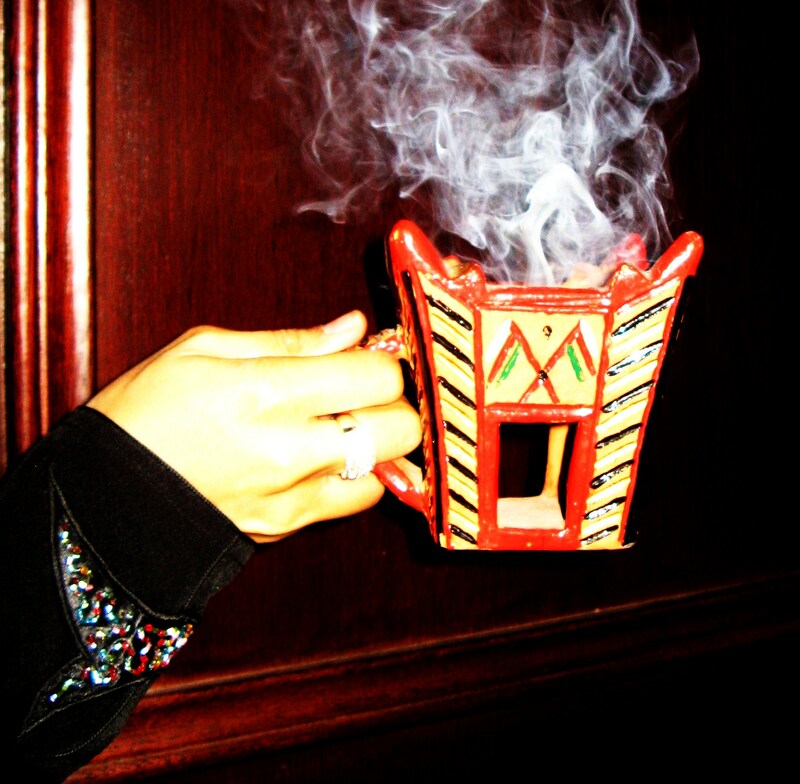 I remember in Yemen, whenever we would have company over or were going to a wedding, my sister in laws would lite bukhour and let its beautiful smelling smoke waft throughout the house and we would place the bukhoor under our hair and dresses and abayas so that we would smell nice inshaAllah…. it was as normal as styling our hair. Recently, Umm Mumins friend came back from a trip to yemen and brought her these wonderful smelling bukhour rocks. I love that smell… I need to buy some inshaAllah for Eid. There is a thought related to the bukhour that as long as you wear it, your arab husband (or non arab husband if the case may be) wont be able to resist you.. inshaAllah this works hehehe.